Merton Council has joined forces with local GPs, Merton Clinical Commissioning Group and community groups in the east of the borough to launch a new joint effort between the Council, GPs and community groups to improve smoking cessation and early detection of poor lung health in residents. Trained health champions will screen members of the public within their local community for chronic obstructive pulmonary disease (COPD), a condition caused predominately by smoking. Symptoms include frequent chest infections and frequently running out of breath. 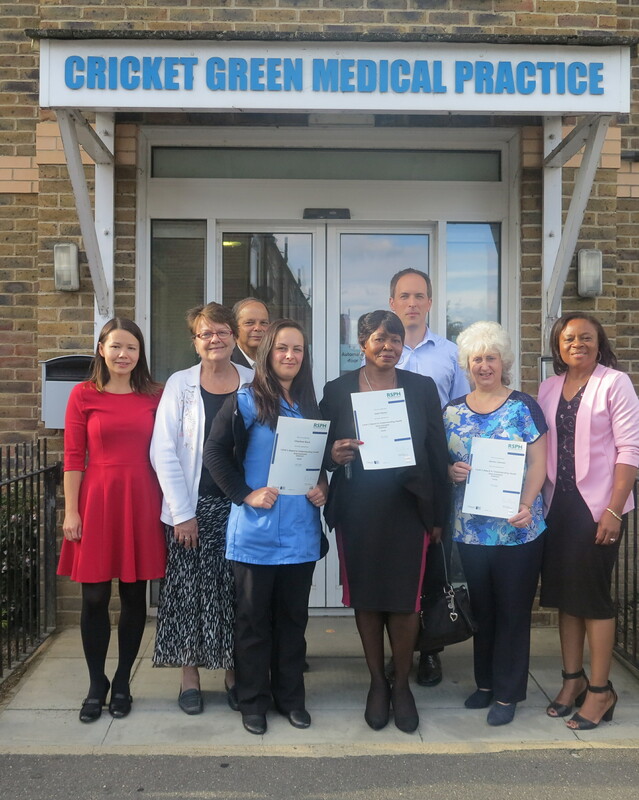 A special launch event took place at Cricket Green Medical Practice last week (27 August) to mark the launch of the pilot with health champions receiving certificates for completing their training. Merton’s cabinet member for adult social care and health, Councillor Caroline Cooper Marbiah, the council’s director of public health, Dr Kay Eilbert and Dr Simon Gilbert, Clinical Director NHS Merton CCG were in attendance.